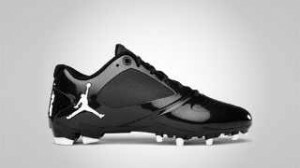 After the success of their earlier Black Cat Trainer models, Jordan Brand is set unveil a new addition to the BCT series family this July 2011, the Jordan BCT Speed Low. Just like the Jordan BCT Low, this show is a low-top model that was obviously made for training and running purposes. This new offering from Jordan Brand will be available in Black/White colourway this month at a very reasonable price. So watch for this and don’t dare miss it!